Credit Access Grameen Limited IPO issue size is of up to 26,805,394 Equity Shares of price band of Rs 418 – Rs 422 aggregating up to Rs 1,131.19 Crores. The opening and closing date date is 8th Aug – 10th Aug 2018. In this Article, we will do a detailed CreditAccess Grameen IPO Review along with in-depth analysis of their IPO object, IPO allotment status, Company overview, Company financials, Price band, Issue Details, Issue Date & more. 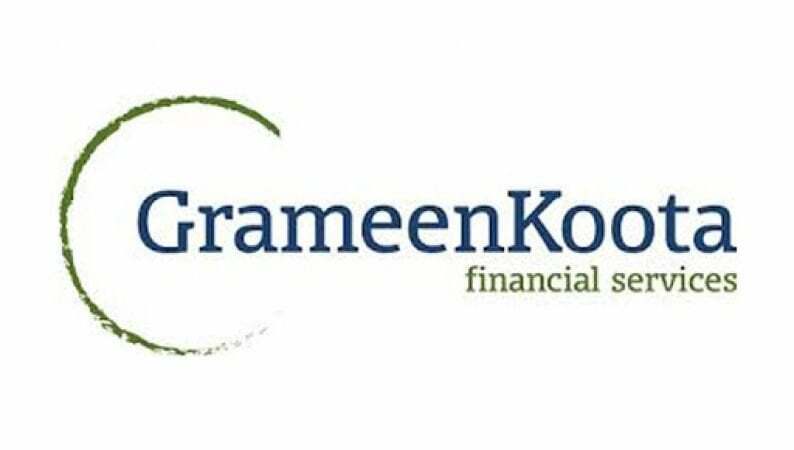 The Credit Access Grameen Limited popularly known as Grameen Koota is a microfinance firm that is headquartered in Bengaluru, focused on providing micro-loans to women customers predominantly in Rural Areas in India. The focus customer segment is women having an annual household income of Rs 160,000 or less in Urban Areas and Rs 100,000 or less in Rural Areas. The Active Customer Retention Rate for the year ended March 31, 2018 was 84%. The Promoter is CreditAccess Asia N.V., a multinational company specializing in MSE financing (micro and small enterprise financing), which is backed by institutional investors and has micro-lending experience through its subsidiaries in four countries in Asia. When the Bharti Finance joins with Induslnd Bank for a Planned Merger that is set to happen soon, this particular IPO raising from Credit Access Grameen would prove to be very helpful for the firm. The IPO would boost their capital assets and is much needed in order to meet the rising demands in the near future. The stocks would be listed on both NSE as well as BSE. ICICI Securities Limited, Credit Suisse Securities (India) Private Limited, IIFL Holdings Limited and Kotak Mahindra Capital Company Limited are the Lead Managers or Underwriters of the IPO of the company. The opening and closing date date is 8th Aug – 10th Aug 2018. The subscription details will be updated regularly. The price band of the IPO is Rs 418 – Rs 422 Per Equity Share . Credit Access Grameen Limited IPO issue size is of 26,805,394 Equity Shares of Rs 10 aggregating up to Rs 1,131.19 Crores, with Market Lot or Minimum Order Quantity of 35 shares that Amounts close to Rs.14,770 per lot. The public issue consists of a fresh issue of up to Rs 630 Crores and an offer for sale of up to 11,876,485 equity shares by the promoter CreditAccess Asia NV. The shares are listed on both BSE and NSE. The Credit Access Grameen Limited is a microfinance company that is situated in the IT city of Bengaluru. The company is aimed at providing financial aid to the poor households from the rural parts of the country. Women are given special preference while granting financial help. The company is registered with the Reserve Bank of India. They have followed a strategy of contiguous district-based expansion across regions and, as of March 31, 2018, covered 132 districts in the eight states (Karnataka, Maharashtra, Tamil Nadu, Chhattisgarh, Madhya Pradesh, Odisha, Kerala, Goa) and one union territory (Puducherry) in India through 516 branches and 4,544 loan officers. The EPS Basic and Diluted value is Rs 12.26 Millions by 31st March 2018. CreditAccess Grameen Limited has seen massive growth in their PAT in last 5 years. This IPO can become a winner for Investors as the company is looking on a very good growth spree. Must buy this IPO. CREDITACCESS ASIA N.V is the Promoter of the Company. The promoter holds the majority of the equity shares of the firm. The promoters of the company are interested in the promotion of the company and they are bound to pay the dividends of the equity shares they hold in the market. The promoters of the company are not interested in any of the properties that are held by the company exactly two years before the drafting of Herring Prospectus. The promoter is also not interested in the acquisition of land, supply of machinery and construction of the building of the company. Will be updated once finalized. Company proposes to utilise the Net Proceeds from the Fresh Issue towards augmenting its capital base to meet future capital requirements. IPO will help in enhancement of our Company’s brand name and creation of a public market for the Equity Shares in India. The main objects clause as set out in the Memorandum of Association enables the Company to undertake its existing activities and the activities for which funds are being raised by our Company through the Fresh Issue. The Offer Price will be decided by the existing shareholders of the company after getting the details about the demand for their services in the market. The promoters and the shareholders together decide the offer price of the equity shares that are planned to be listed. The offering is done after the consultation with BRLMs’. The face value of the equity shares released by the company is Rs 10 each. The offer price is calculated [.] times the face value at the Floor Price. The Offer Price can also be calculated[.] times the face value of the Cap price of the Price band. The company believes that the following are the core strengths which enable them to establish a household name for themselves in the market. The Credit Access Grameen Limited IPO Grey Market Premium price is Rs 20-25, the Kostak rate is Rs 200 and the Subject to Sauda is 450.